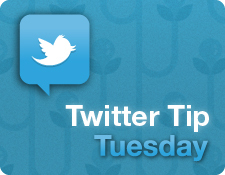 It’s Twitter Tip Tuesday — every Tuesday we’ll focus on one Twitter Tip and show you how to integrate it into your social media strategy. This week we show you how to connect your Twitter account to your Facebook account so that your tweets are automatically posted to Facebook. Your friends on Facebook may be quite different, and mutually exclusive, from your followers on Twitter. If you only post updates to Twitter, your Facebook friends may be missing out on interesting or informative updates from you. You can copy and paste updates from one social media site to another, but here’s a much simpler way to make sure your posts are seen by audiences on both platforms. 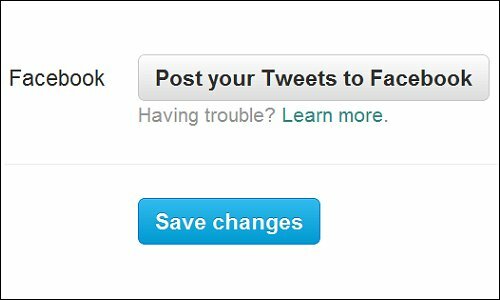 Begin by connecting your Twitter account to your Facebook account from within Twitter’s account settings. To access your settings, click the triangle next to silhouette icon in the top right corner of your Twitter home page. Click the menu item entitled “Settings.” Next, in the left column of the page, you’ll see a variety of tabs arranged vertically. Click the “Profile” tab. Click “Allow” to continue. Next, Facebook’s “Application Settings” pop-up will appear. 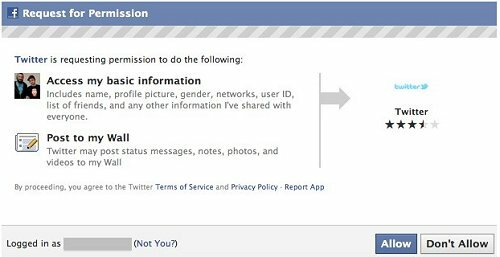 From the “App privacy” field, select “Friends” from the available options in order for your Facebook friends to see your tweets posted on your Facebook Wall. Once you complete these steps, new tweets will appear simultaneously on your Facebook profile. Note that since Twitter has its own unique syntax, retweets and @replies (or Twitter “Mentions”) will not be posted to Facebook. This automated connection from Twitter to Facebook is an all-or-nothing scenario. This means that every tweet you post (with the exception of retweets and @replies) will also be posted to Facebook, until you revoke access to the Twitter application from within your Facebook App settings. If your goal is to include your Facebook friends on all of your updates on Twitter, then this option may be an appropriate solution. 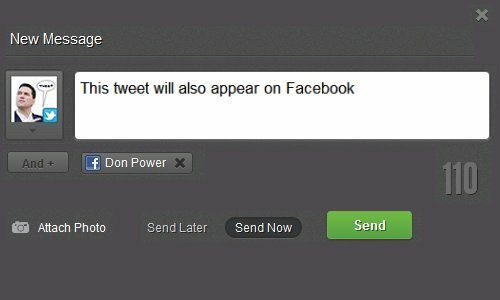 If you want to maintain more control of your cross-posting and be more selective of the tweets that get posted to Facebook, however, you can use the selective platform update feature provided within Sprout Social. Here, you decide which tweets also get posted to Facebook, along with a number of other available social media platforms like LinkedIn, Foursquare, and more.